Have you ever ended up with a thin layer of cat litter dust on the surfaces in your home? You can thank kitty’s paws for that. Not only is cat litter dust a pain to clean up, it can be harmful to your lungs and your cat’s. That’s why dust free cat litter solves you that headache entirely. Widely available in all kinds of varieties, dust free cat litter is a revelation to kitty owners worldwide! As a responsible owner, you need to be tending to your cat’s needs all around the house. 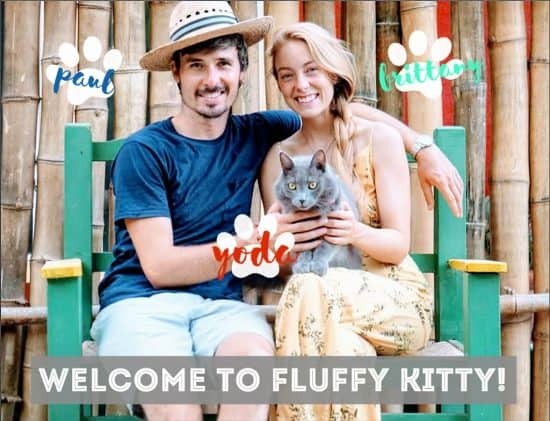 This means a scratching post, a cat tree (or another form of entertainment), and most importantly of all: a litter box. When filled with cat litter, a basic tray is by far the most hygienic way of managing your pet’s waste. Cats need a few things when they use the toilet: privacy, a clean place to do it, and a way of burying their scent afterward. Here is where dust free cat litter becomes crucial. Initially, the role of cat litter was lead by old newspapers. As these were being disposed of anyway, this was just one more step between the coffee table and the bin. But newspaper soaks through too quickly and isn’t that absorbent. 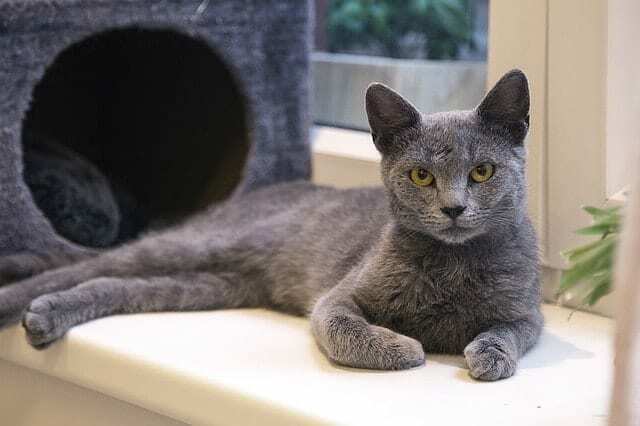 Besides, shredding it is time-consuming, and the quality of the paper may not be too kind to the most sensitive areas of your cat. Cat litter is a hassle-free alternative to this, and worth not cutting any corners for. Available in large bags, it will soak up anything effectively, and neutralize an odor easily. Nowadays, cat litter has progressed to the point where dust free cat litter is available. 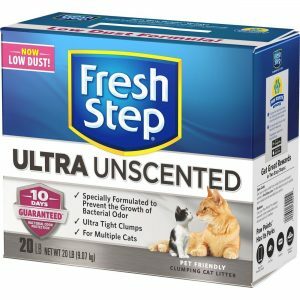 Why Use Dust Free Cat Litter? 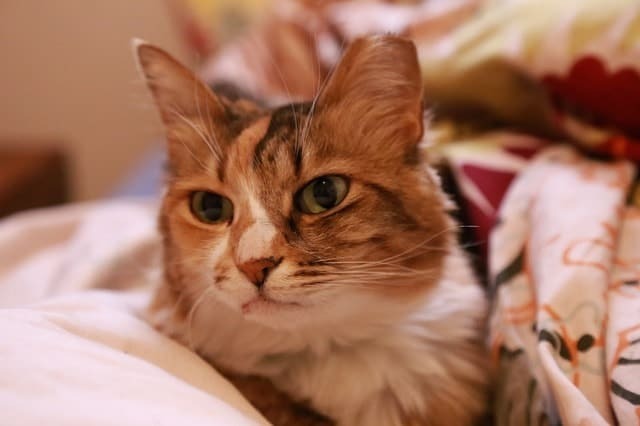 Dust free cat litter has all the benefits of regular cat litter, and more! Dust free cat litter has excellent clumping properties, which means that once it is wet, it sticks together. And when dry, forms a solid shape around the matter. 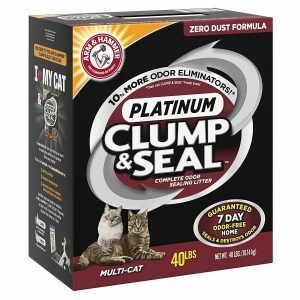 Dust free cat litter that clumps make scooping a lot less of a hassle (remember to scoop daily!). Items in the tray are not only easier to spot, but easier to remove in one piece – even urine. Cat litter that does not generate dust is a lot more pleasant to change! Tipping out a full litter tray used to be a nightmare. No matter how close to the bin bag you held the litter box, usually a clump of particles will fly out and land on your clothing, furniture, etc. Dust free cat litter removes that hazard entirely. 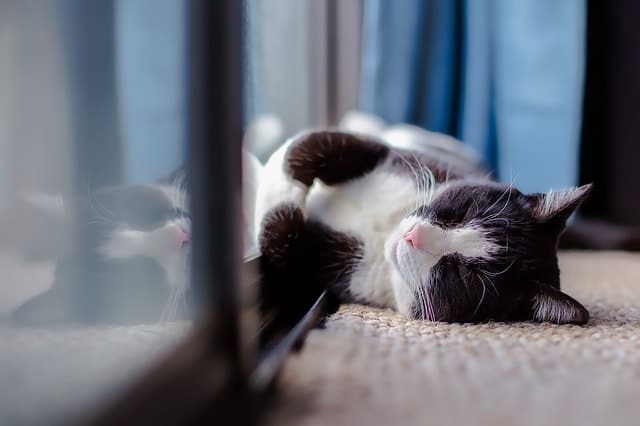 Dust free litter also means when your cat is scraping the parts of the tray around, you won’t end up with that cloud of dust billowing out behind them. If you are asthmatic or generally don’t want to be breathing in particulates from a litter tray, then a dust free cat litter is for you. 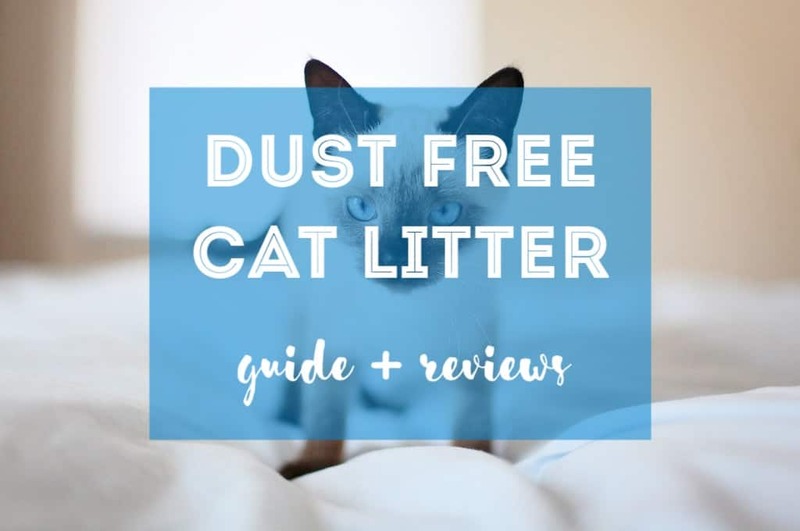 A dust free litter environment is simply healthier for you and your cat! A certain product that guarantees “100% dust free” usage. Perhaps most positively, it also boasts a technology that allows it to stay odor-free for seven days during usage. Any more than that and you should be switching it out anyway! Users credit the veracity of the dust-free claim and also praise the light, pleasant smell. 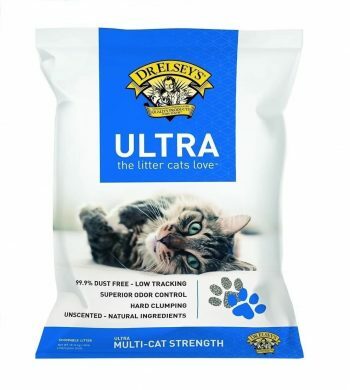 Dr. Elseys’ litter promises to be 99% dust free and also to avoid the dreaded ‘tracking.’ Tracking is when your cat, having scraped a little around the tray, carries little bits of litter around stuck in the pads of its paws, or in its fur. A testament to its popularity is the many customers crediting its lack of odor and natural ingredients. 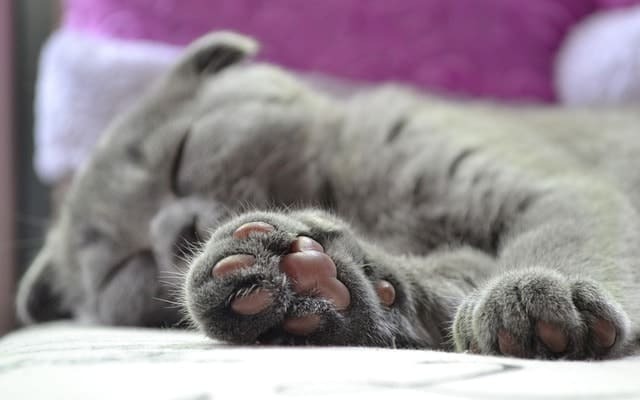 Feline Pine has a vast range of dust free cat litters available to suit your pet. Crucially, this boasts non-toxic ingredients, one of which is dehydrated pine fibers (hence the name). Not only do these absorb waste incredibly well, but they also provide a fresh scent worthy of a new car! 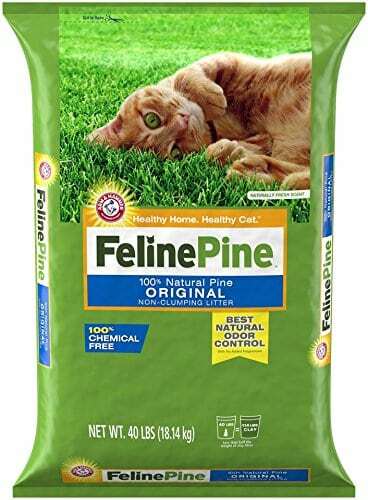 Whenever we are in the US and can order Feline Pine, this is what Yoda uses. Any natural litter, such as wood pellets, literally take away that cat amonia pee smell. There’s no dust, it’s environmentally-friendly, and easy to clean and refill. We recommend trying it out! Training your cat to use a litter tray is one of the inevitabilities of having a feline companion. But that doesn’t mean that your house has to end up stinking. Best of all, thanks to dust free cat litter it doesn’t have to be a mess every time you go to scoop or tip out the tray! If you have asthma or respiratory problems, or you like to keep your house clean, you should invest in dust free cat litter. Apart from the fact it doesn’t create a mushroom cloud every time it moves, dust free cat litter is also healthier for your cat.